Marksville, LA – On Tuesday, November 3rd, 6-year-old Jeremy Mardis was tragically gunned down by Louisiana police during a pursuit. In a press conference late Friday night, authorities announced that two of the four officers involved in the stop have been arrested. Three of the men, Lt. Jason Brouillette, Sgt., Kenneth Parnell, and Lt. Derrick Stafford, worked for the Marksville City Police Department. The fourth, Norris Greenhouse Jr., was a marshal for the Alexandria City Office. 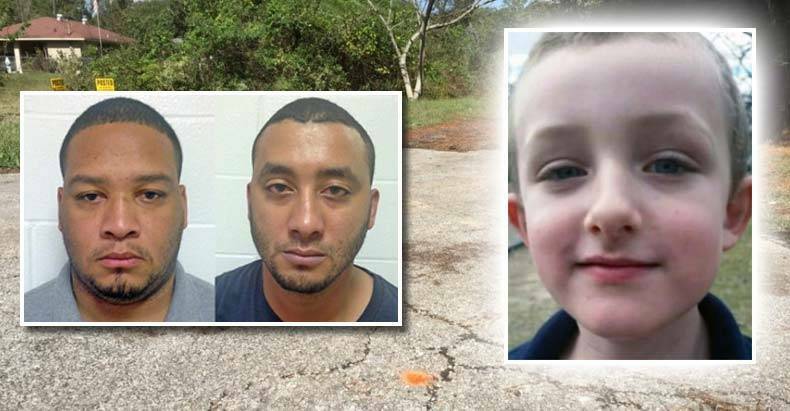 Lt. Stafford, 32, and Norris Greenhouse Jr., 23, are the local deputy marshals who fired at least 18 rounds at an unarmed man and his son, killing a 6-year-old boy. Stafford, Brouillette and Greenhouse were moonlighting for the local marshal’s office at the time of the shooting, Smith said. No use-of-force policy exists for the Marksville Police Department, said Smith, nor are there guidelines on shooting at vehicles, a practice frowned upon by the International Association of Chiefs of Police, an umbrella agency for law enforcement groups. The shooting laid bare tensions between the city of Marksville and a local marshal agency led by a school bus driver who lacks basic law enforcement certification. Marksville Mayor John Lemoine previously told The Advocate that Ward 2 Marshal Floyd Voinche Sr. recently began recruiting part-time officers and obtaining squad cars to issue tickets, without permission from city officials. Initial reports claimed that Jeremy’s father, 25-year-old Chris Few, was being served a warrant by Ward 2 City Marshals. However, police now admit that Few was not only unarmed when officers opened fire, there wasn’t a warrant at all. It was originally reported that Few was cornered in a dead end drive, however, the initial reports were incorrect. Through traffic was indeed allowed at the intersection. At least one of the officers were wearing a body camera which was on at the time of the shooting. While police have yet to release the footage, the arrests were made shortly after the Louisiana State Police reviewed the video, according to KLFY. At approximately 10:00 pm, Friday night, authorities announced that Norris Greenhouse Jr. & Derrick Stafford were charged with 2nd-degree murder of 6-year-old and attempted 2nd-degree murder of Chris Few. Below is the press conference from late Friday night.